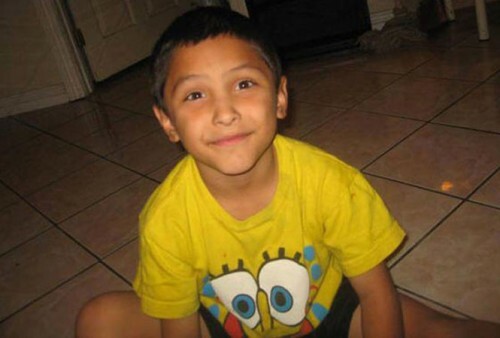 PALMDALE, Calif. — Graphic grand jury testimony reveals details of the abuse suffered by an 8-year-old Los Angeles County boy who was allegedly battered to death by his mother and her boyfriend. Court documents made public Monday show Gabriel Fernandez was doused with pepper spray, forced to eat his own vomit and locked in a cabinet with a sock stuffed in his mouth to muffle his screams, the Los Angeles Times reported. His siblings said Gabriel was often called gay, punished when he played with dolls and forced to wear girls’ clothes to school. 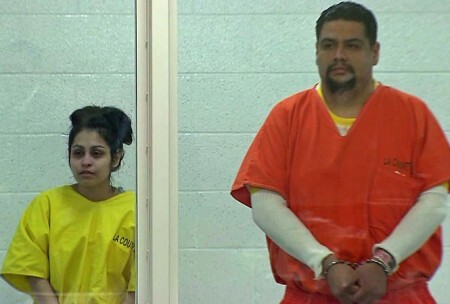 Pearl Fernandez and Isauro Aguirre have pleaded not guilty to murder charges. The Palmdale boy died in May 2013, days after he was hospitalized with injuries including a cracked skull, broken ribs and burns. Pearl Fernandez and Isauro Aguirre have pleaded not guilty to murder charges with special allegations of torture. They are in jail awaiting trial. Gabriel remained with his mother and her boyfriend despite several investigations by social workers. The incident prompted calls for sweeping reforms to the troubled Los Angeles County foster-care system because child welfare workers failed to remove the boy. Officials have taken steps to fire two social workers and two supervisors, while others involved in the case received letters of warning or reprimand. The newspaper reviewed more than 800 pages of testimony. Fernandez called 911 on May 22, 2013, to report that her son was not breathing. She told sheriff’s deputies who arrived at the apartment that Gabriel had fallen and hit his head on a dresser, according to testimony. When paramedics arrived, they found Gabriel naked in a bedroom, not breathing, with BB pellets embedded in his lung and groin. He died two days later. “It was just like every inch of this child had been abused,” testified James Cermak, a Los Angeles County Fire Department paramedic. Attorneys representing Fernandez, 30, and Aguirre, 34, could not be reached for comment Monday. Because of repeated delays in setting a preliminary hearing, prosecutors convened a grand jury. The indictment was returned July 28. Fernandez and Aguirre deliberately tortured the boy to death, hiding their tracks with forged doctor’s notes and lies to authorities, Deputy District Attorney Jonathan Hatami told the grand jury. “For eight straight months, he was abused, beaten and tortured more severely than many prisoners of war,” Hatami said. The abuse worsened in the months leading up to Gabriel’s death, according to testimony from two of his siblings, both of whom are minors. They said Gabriel was forced to eat cat feces, rotten spinach and his own vomit. He slept in a locked cabinet and wasn’t let out to go to the bathroom. Several agencies investigated allegations of abuse before Gabriel’s death without removing the boy from the home. On multiple occasions, deputies went to the family’s apartment or to Gabriel’s school to investigate reports of abuse and of the boy being suicidal. Each time, they concluded there was no evidence of abuse and did not write a detailed report.